Rydale Roofing will bring the curtain down on a special year of charity fundraising with a Ball in aid of the Alice Charity on February 1st. The Silverdale based business has raised thousands of pounds for a variety of good causes to celebrate its 25th year in business. Now, Directors Mick and Julie Mirowski are inviting friends and clients to join them for a special evening at Keele Hall. “We have worked with many people in North Staffordshire over 25 years and we are asking them to come along for a fun evening and to dig deep to support families in need in our area,” said Julie. “I am a trustee with the Alice Charity and have seen how much their work matters and supports families who are struggling to cope. Rydale Roofing is asking local businesses to buy a table of 10 for the event, at a cost of £400 a table. All profits will go to Alice, which as a base in the Ironmarket, Newcastle-under-Lyme. During the 25th anniversary year, the firm has raised funds and supported events for charities including charity donations to Alice, the Gingerbread Centre, the Donna Louise Hospice Tower to Tower challenge, Staffordshire Ladsandads, Stoke City Old Boys Association (SCOBA). 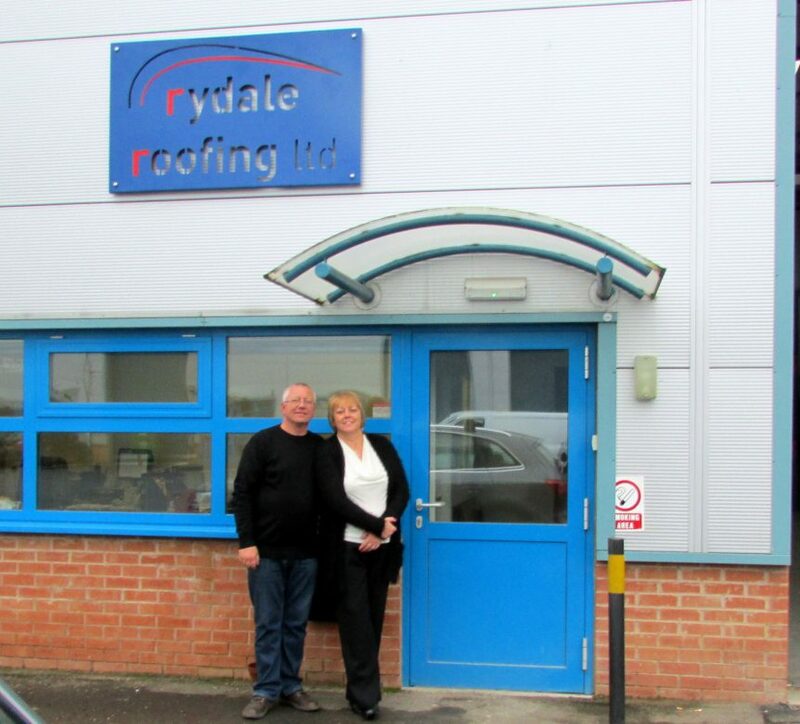 Rydale Roofing has also sponsored local sports clubs including teams at Knutton Community FC, Milton United and Queensbury Police Boxing Club, and helped motorcross racer Jayden Rodgers. The firm donated bikes to St Luke’s Primary School, Silverdale, Crystal Shandelles dance troup, Circus Star, and were a sponsor in the KMF Young Engineer of the Year competition. Cole Johnson, a roofer, with the company, was helped as Rydale pad his medical fees as he started a pro-boxing career. Events have included It’s a Knockout, a football tournament, and Rydale Roofing will support the 2018 Alice Charity Santa Dash, at Hanley Park, on December 9th. Rydale Roofing is matching every adult booking with a donation of £25 – this means that every adult entered will be raising £50 for Alice, ensuring that local children enjoy a special Christmas.